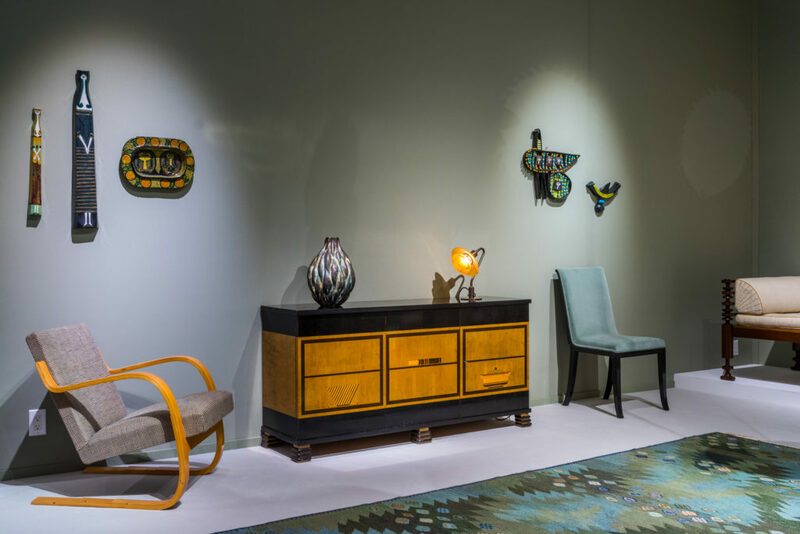 Two exceptional pieces were among our highlights for the occasion and both were Danish. 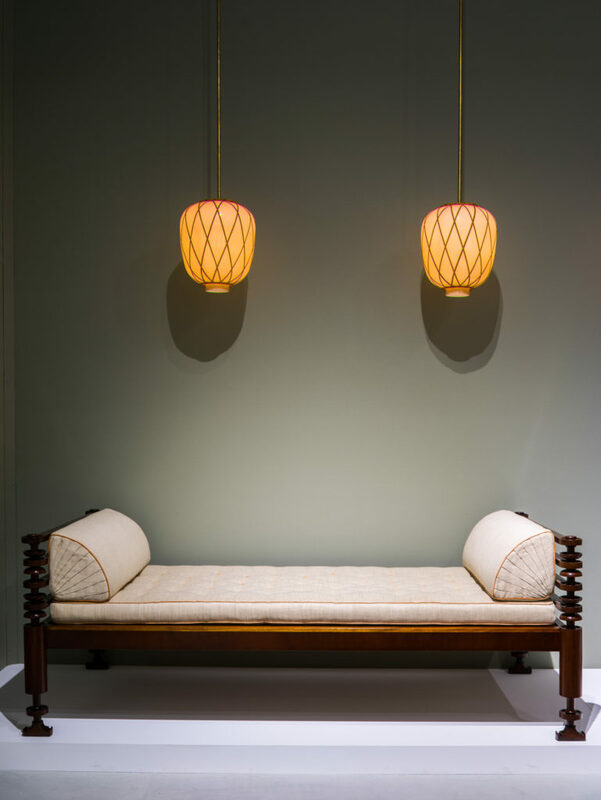 First a hand-carved daybed by master cabinetmaker Kaare Klint. 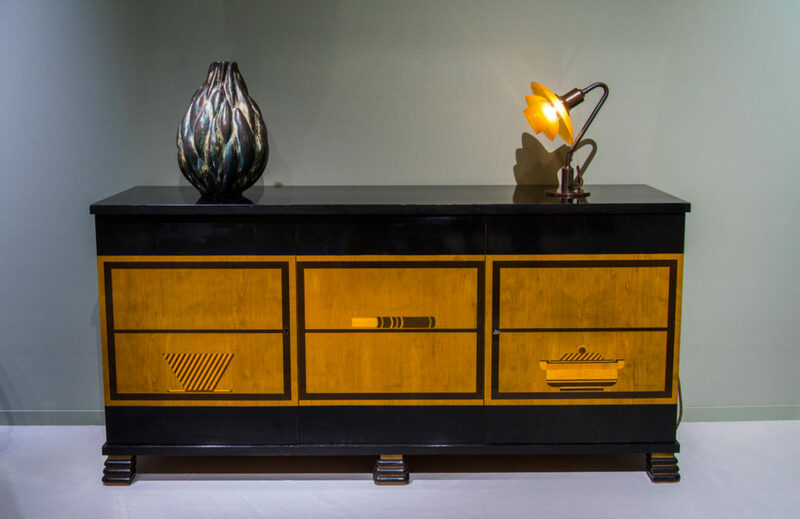 This very example was made in Cuban mahogany for Danish painter Albert Naur in 1917. 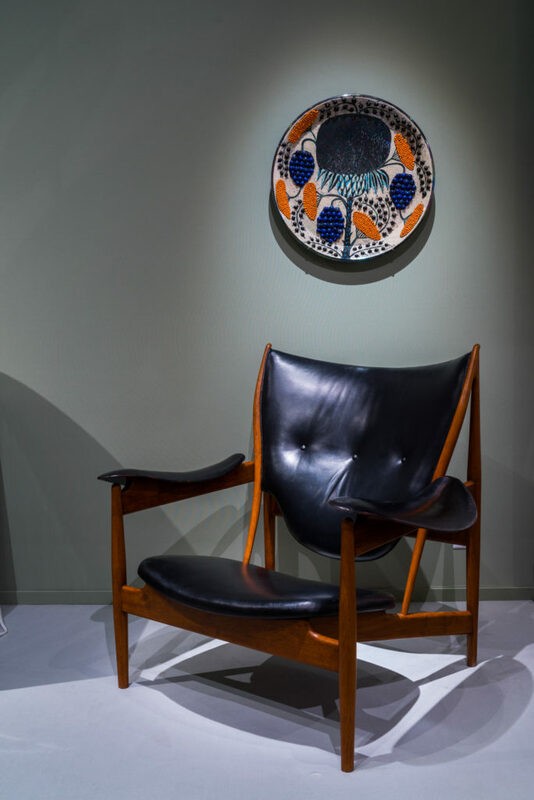 Another one was also manufactured in burl oak for the archeologist Poul Nörlund. 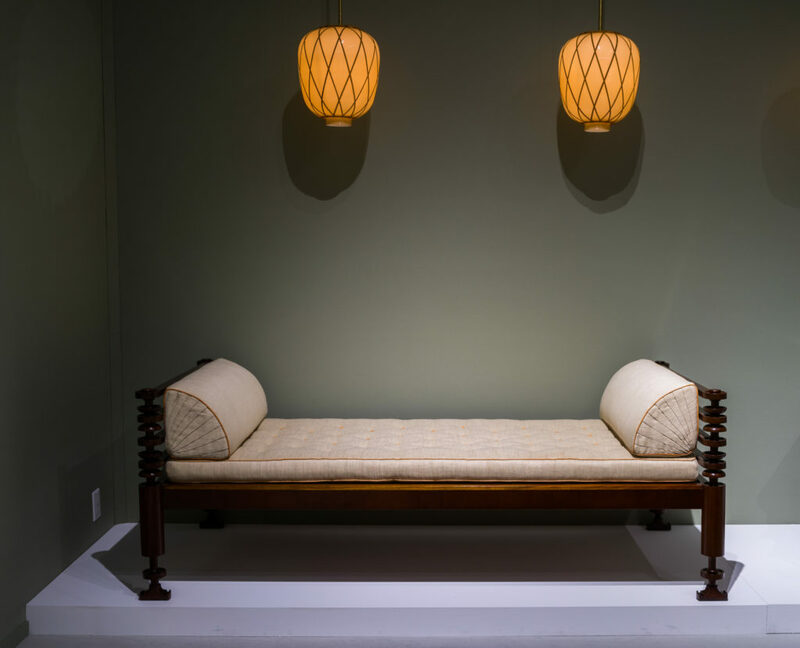 Only two examples of this daybed were ever made. 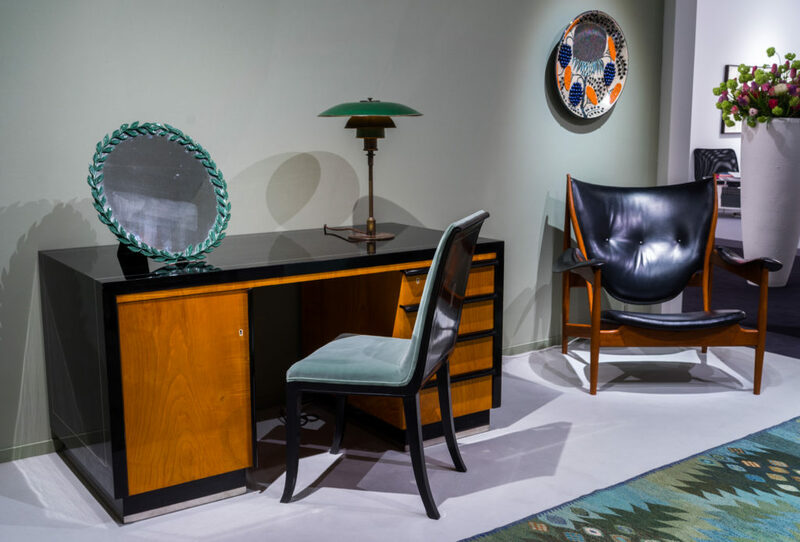 Our second highlight was one of Finn Juhl’s absolute masterpieces, the Chieftain chair, designed in 1949 and representing the peak of the acclaimed Danish designer’s career. 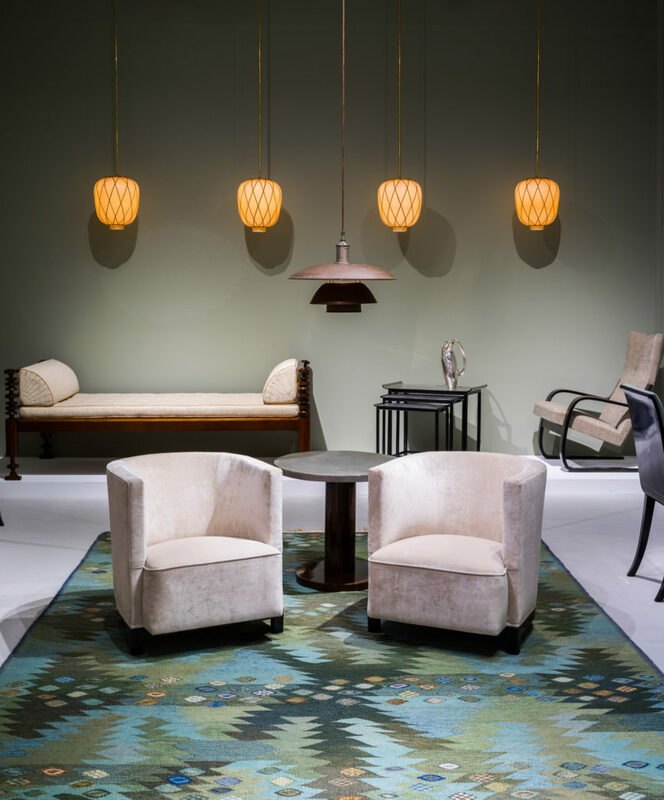 Also on display at Modernity’s stand: two beautiful examples of Paimio chairs designed in the early 1930’s by Finland’s most famous designer, Alvar Aalto. 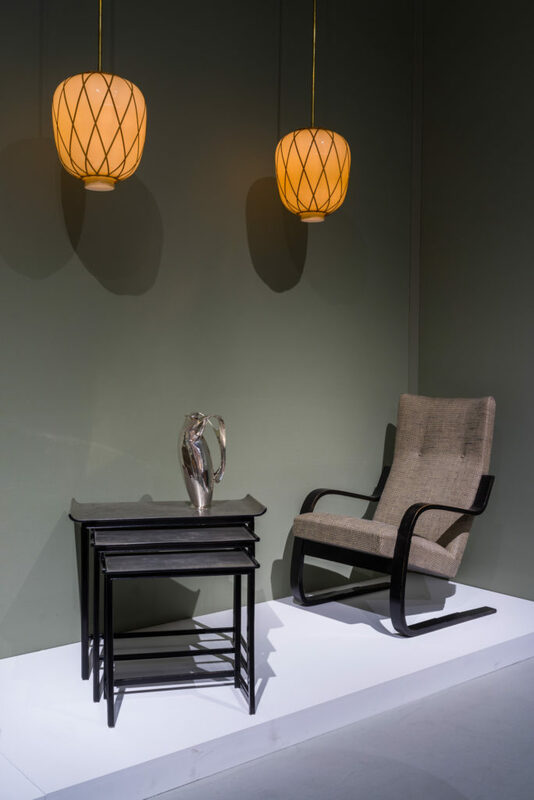 Both examples were used in the nurses’ private living areas at the Paimio sanatorium in Finland. 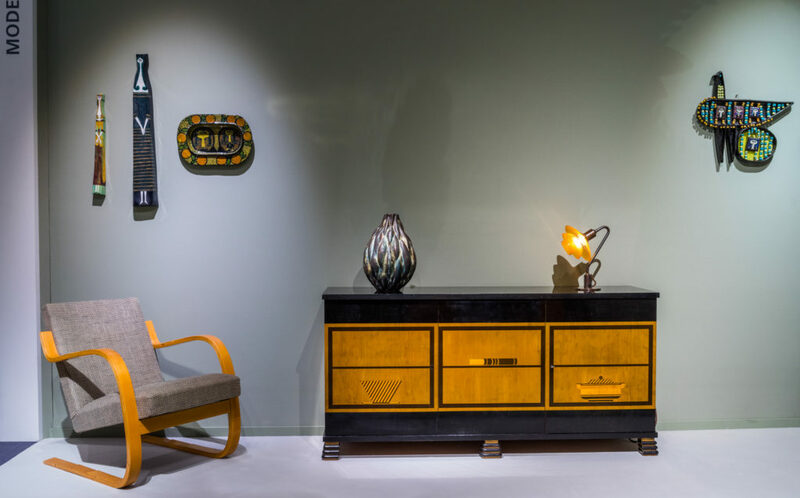 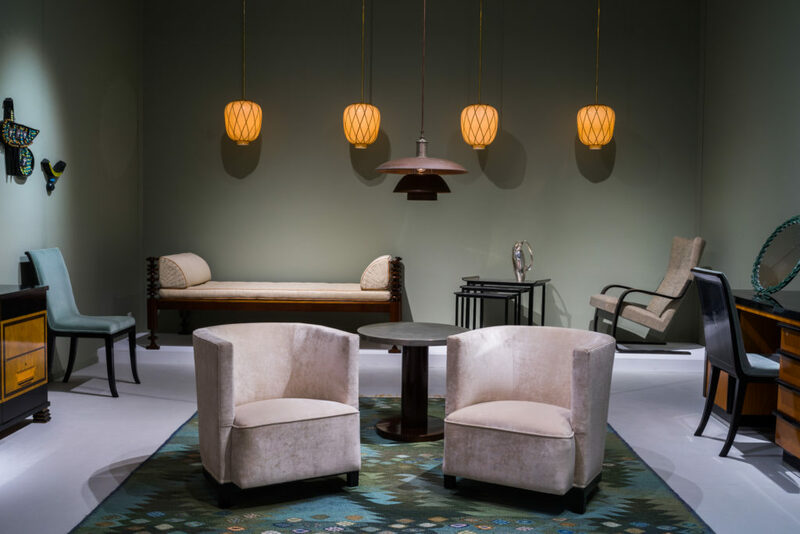 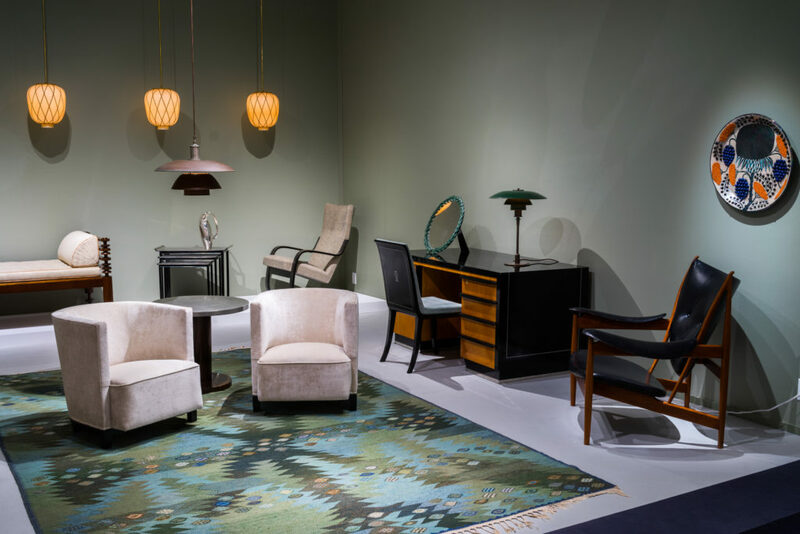 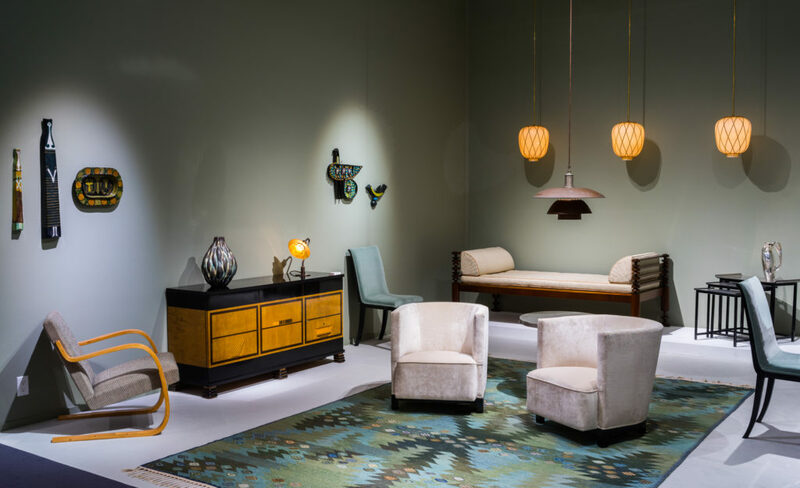 Last but not least, we were showing an exquisite collection of Swedish designs dating from the 1920’s and 1930’s, when Swedish Grace was one of the most admired styles both in Europe and in the United States. 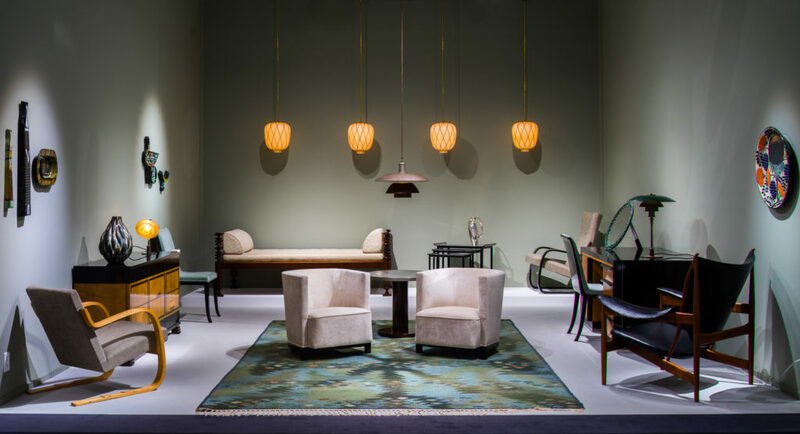 The next edition of TEFAF New York Spring will be held from May 4 to May 8, 2018 at the Park Avenue Armory.